This project has been under wraps for months and I’m so excited that I can finally share the news! Back in October I flew to New York and met with the Parker NYC team. I was so thrilled about being asked to shoot their resort collection, Escape with Parker. Shooting this would be the biggest campaign of my career so far and I was so excited to get started! 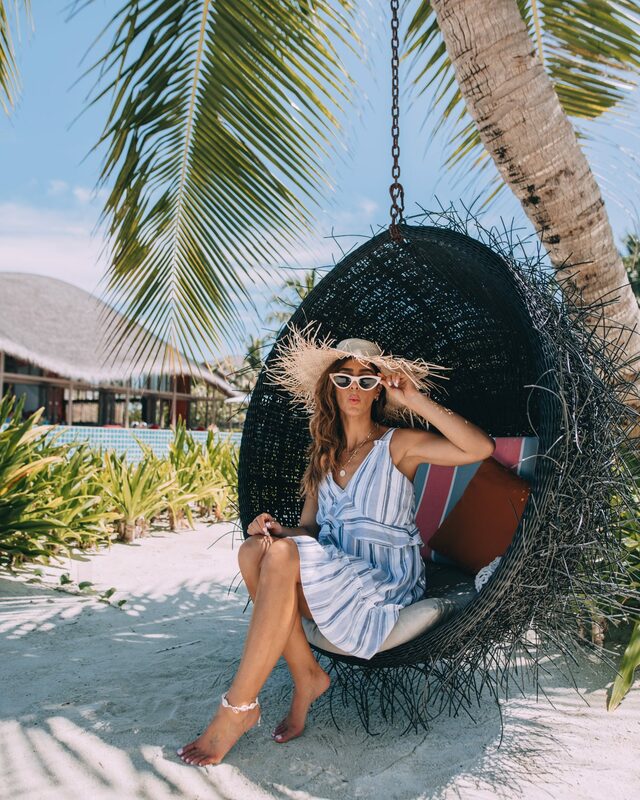 I packed my bags filled with dresses, bikinis and accessories and flew straight to island paradise, the Maldives! Typically a campaign of this size would take a full day of shooting or split within 2 days but we managed to get it all done in just a few hours. 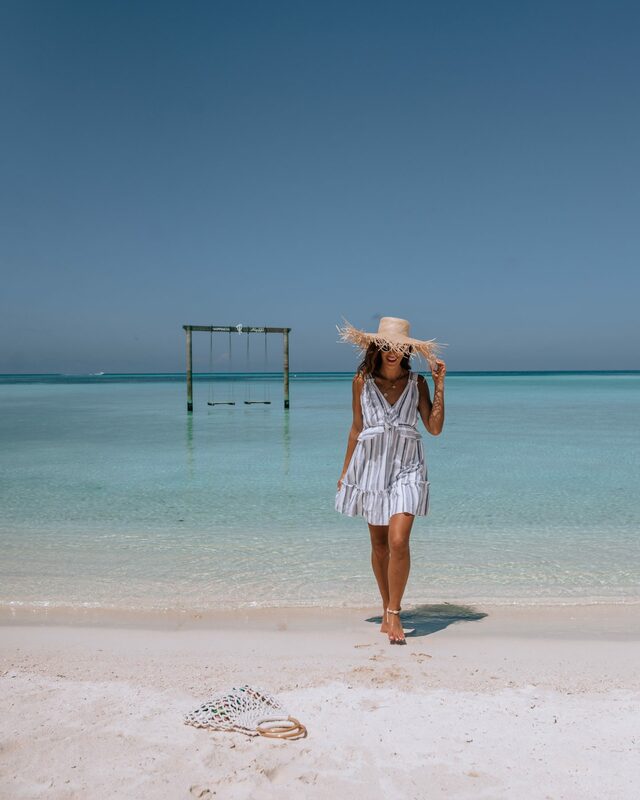 It’s hard to take a bad picture in a tropical paradise like the Maldives and clothing paired perfectly with the destination. 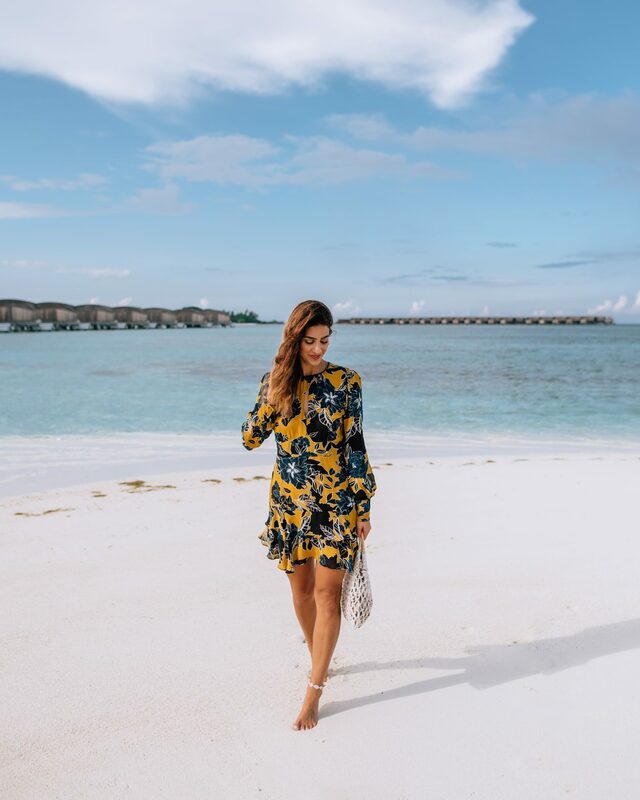 Inspired by Vietnam, the theme of the collection is “island meets city” and the collection is filled with rich floral patterns, bold stripes, and easy lightweight dresses. Think botanical prints, vivid colors, and clean whitewashed lines. Seriously, I had so much fun shooting these pictures. I can’t wait to hear what you think! I’ve added all the product links to my outfits & collection faves so you can shop my must have pieces from the campaign. Make sure to comment below and let me know which outfit is your favorite! I’m dying to know! Love all these looks. The Maldives isn’t a bad backdrop either 🙂 Congrats on the campaign! Thanks so much Christine!!! 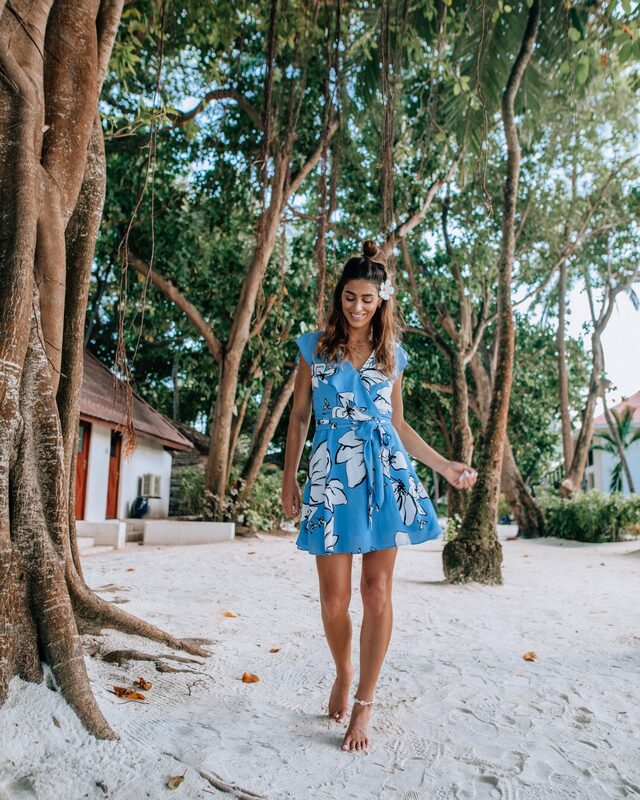 I love these dresses too and the Maldives… yeah made the shoot pretty easy with such a dreamy background! What an amazing campaign! Beautiful photos and clothes! Yeah the dresses were so beautiful!! !